in tax incentives for businesses to hire residents of these communities, expand their facilities, and upgrade their equipment needs. The Department of Housing and Urban Development (HUD) has designated 40 RCs in one competition to date. Twenty-eight of these RCs are in urban areas and twelve are in rural areas. HUD has designated 30 EZs to date in three separate competitions and all of these EZs are in urban areas. No RC or EZ has more than 200,000 residents. More information regarding the objectives of the Renewal Community and Empowerment Zone programs is available at www.hud.gov/cr. The tax incentives are described in IRS Publication 954 and on IRS forms including forms 8844 and 8850.
total area of the noncontiguous parcels must not exceed 2,000 acres; (f) Is located entirely within the jurisdiction of the unit or units of general local government making the nomination, and is located in no more than two contiguous States; and (g) Does not include any portion of a central business district, as this term is used in the most recent Census of Retail Trade, unless the poverty rate for each census tract in the district is not less than 35 percent. Office - All HUD Field offices with a Community Planning and Development Division, ATTN: Director of Community Planning and Development. See Appendix IV of the Catalog for Field Offices addresses/phone numbers. On December 31, 2001, HUD designated 8 new urban Round III Empowerment Zones, as well as 40 Renewal Communities in urban and rural areas nationwide. The tax credits claimed by sole proprietor business owners for hiring a resident of a Renewal Community or Empowerment Zone to work in the designated area increased from $61 million in 2002 to $105 million in 2004 to almost $128 million in 2005. The certificates filed by employers with state governments to claim the Work Opportunity Tax Credits for hiring youth or summer youth residents of the areas increased from 35,077 in 2003 to 83,758 in 2005. The allocations of commercial revitalization deductions for construction of commercial and industrial buildings in the Renewal Communities increased from $209 million in 2003 to $259 million in 2006. DESIGNATION AS AN EMPOWERMENT ZONE. Currently, grant funds are available over the life of the program under the provisions of the appropriations statutes enacted by Congress and the business tax incentives for RCs and EZs extend through 2009. Eligible applicants were one or more units of general local government, along with the State or States in which they were located, that nominated an area meeting the criteria for eligibility of nomination, including population thresholds, poverty, unemployment and distress criteria, and boundary and geographic size limitations. HUD designated areas from among the nominations submitted. The designations continue until December 31, 2009. Residents and businesses in designated urban areas. 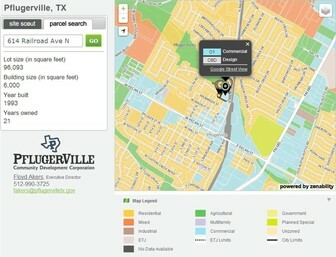 To determine if an address qualifies for the business tax incentives visit www.hud.gov/crlocator. Interested persons should visit HUD's Renewal Community/Empowerment website www.hud.gov/cr and the USDA Empowerment Zone website www.ezec.gov periodically for information on applying for future competitions to designate additional Renewal Communities and/or Empowerment Zones, and for information on taking advantage of the benefits in an existing RC or EZ. HUD designated EZs in 1994, 1998, and 2002, and RCs in 2002. There is currently no authority for HUD to make additional designations. Interested persons should visit HUD's website for the Renewal Community and Empowerment Zone programs www.hud.gov/cr, and the USDA website for the rural Empowerment Zone program www.ezec.hud, periodically for information on any upcoming competitions and detailed information on procedures required to apply for a Renewal Community or Empowerment Zone designation. The Secretary of HUD will review applications for the designation of nominated urban areas to determine the quality of the strategic plans submitted by nominating State local government(s); other factors established by HUD; and geographic diversity. Applications must be received by the deadline established by the Secretary of HUD. Omnibus Budget Reconciliation Act of 1993, Title XIII, Public Law 103-66, Sections 952-954; Taxpayer Relief Act of l997, Public Law l05-34; Community Renewal Tax Relief Act of 2000, Public Law 106-554. 4 to 6 months following application deadline if authority to make additional designations is provided. The Secretary of HUD may waive for good cause any provision of the program not required by statute, where it is determined that the requirement would produce a result adverse to the purpose and objectives of the program. Period of designation: The December 31, 2001, designation of areas as new Empowerment Zones and Renewal Communities shall remain in full effect during the period beginning on the date of designation and ending on the earliest of: (a) December 31, 2009; (b) The termination date designated by the State and local governments in their application for nomination; or (c) The date the Secretary modifies or revokes the designation. HUD will require periodic reports for the Empowerment Zones and Renewal Communities designated pursuant to this part. These reports will identify the community, local government and State actions which have been taken in accordance with the strategic plan and tax incentive utilization plan. In addition to these reports, such other information relating to designated Empowerment Zones and Renewal Communities as HUD shall request from time to time, including information documenting nondiscrimination in hiring and employment by business within the designated Empowerment Zone or Renewal Community, shall be submitted promptly. Periodic performance reviews. HUD will regularly evaluate the progress of the strategic plan and tax incentive utilization plan in each designated Empowerment Zone and Renewal Community on the basis of performance reviews to be conducted on site and other information submitted. HUD may also commission evaluations of the Empowerment Zone and Renewal Community programs as a whole by an impartial third party, at such intervals as HUD may establish. HUD awarded EZ grants totaling $25.6 million to each of the 15 round II urban EZs in varying amounts from 1998-2005. The round I EZs received grants funded by the US Department of Health and Human Services. The round I and II EZs also receive the business tax incentives. Under current law, Renewal Communities and Round III EZs receive only the tax incentives. 24 CFR Part 598 and 599 Designation of Round III Urban Empowerment Zones and Renewal Communities; Interim Rule. Part 598 was amended on December 13, 2007. Also, see &quot;Tax Incentive Guide for Business in the Renewal Communities, Empowerment Zones and Enterprise Communities&quot;, &quot;Tax Incentives + Businesses = Jobs,&quot; and &quot;Spotlight on Results,&quot; all of which are available by calling (1-800)998-9999. All HUD Field offices with a Community Planning and Development Division, ATTN: Director of Community Planning and Development. See Appendix IV of the Catalog for Field Offices addresses/phone numbers. HUD Office of Community Planning and Development, Office of Community Renewal. Telephone: (202) 708-6339. Interested parties should visit HUD's website for the Renewal Community and Empowerment Zone programs (www.hud.gov/cr) and the USDA website for the rural Empowerment Zone program(www.ezec.hud) periodically for information on any upcoming competitions and detailed information on criteria to be used to select proposals for Renewal Community and Empowerment Zone designations.